While we don’t do a lot of business in the automotive markets, we do have some transportation type business. We are seeing an increase in PPAP requirements from our non-automotive customers. I can only speculate that perhaps the increase has been created by automotive employees moving into other jobs when the automotive marketssuffered in 2008-2009. I do know of afew quality folks I have met that were once in the automotive world. We saw the increase in PPAP request as anopportunity to increase our skill level with PPAP(s). So, we contacted an independent consultant and scheduled a three day training course. We had participants from quality, production and sales attend the training sessions. The training was intense, lasting eight hours or more for three days with few breaks. Our instructor was very serious about the world of PPAP(s) but he also was intelligent, entertaining and offered advice beyond PPAP(s). His instructional style made the days go by quick. head). In some cases, the statement might have some truth to it. At least for me personally, this is far from the truth. I have never forgotten my roots of starting in production and spending most of my early career in quality. Plus, I have been in position of seeing the bottom-line results of a company and what contributes well and not so well to the end results. From a small business prospective, managing cash flow is tougher than it has ever been. Suppliers expect to be paid in 30 days, while some customers want to extend their payment terms. On top of that, as a distributor we make an investment in safety stock that has to be paid for in 30 days but may not be sold until a few months has passed (then wait another length of time for the invoice to be paid). I believe it is in everyone’s best interest; supplier and customer, that a fair profit is achieved with all business transactions. Mutual success for both sides is important for the long term partnership between companies. It is equally important for both customer and supplier to be financially healthy. produce. For the sales personnel, we worked on a FMEA for the contract review process. Hands on is the best way to ensure that we had grasped what Tony was teaching us and allowed us the opportunity to work as teams. The takeaway from the 3 day training session was now all departments have at least someone within that department who has a deeper understanding of the PPAP process and can contribute. I always say that sales and quality are two functions that everyone in the company is a part of, whether they realize it or not. It is important for the health of a company to deliver that message to the employees and make them a part of the process. As a final note, our group was very pleased with the training we received from Tony. There is a good chance that Tony will be invited back again to provide addition training in other areas of quality. 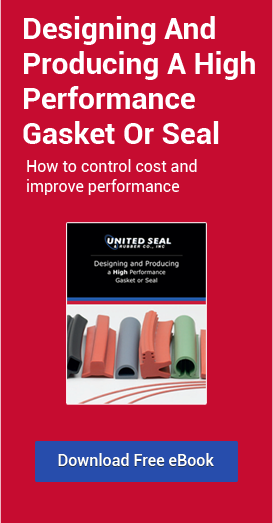 If you are reading this and would like to get in touch with Tony, contact me, tstillinger@unitedseal.com and I’ll be happy to put you in touch with Tony. Remember, quality and sales involves everyone in the company!